Tacoma is getting a new sister city! 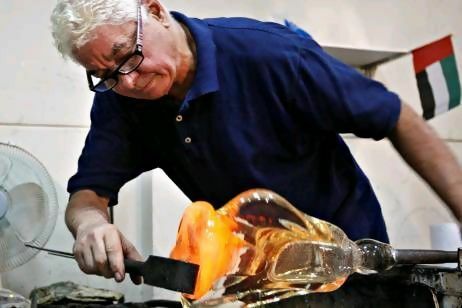 Biot, a city located on the French Riviera, has a longstanding tradition of glass blowing and is home to several hot shops and glass galleries, including the Serge Lechaczynski International Gallery of Glass. The Knights Templar were established in Biot in 1209 and the city has devoted many of its restored historical structures to glass art. Biot is also linked to the most advanced technology park in Europe, Sophia Antipolis, featuring hundreds of high-tech companies. Biot Mayor Jean-Pierre Dermit will accompany members of the Biot City Council, French newspaper and television journalists on this historic visit. 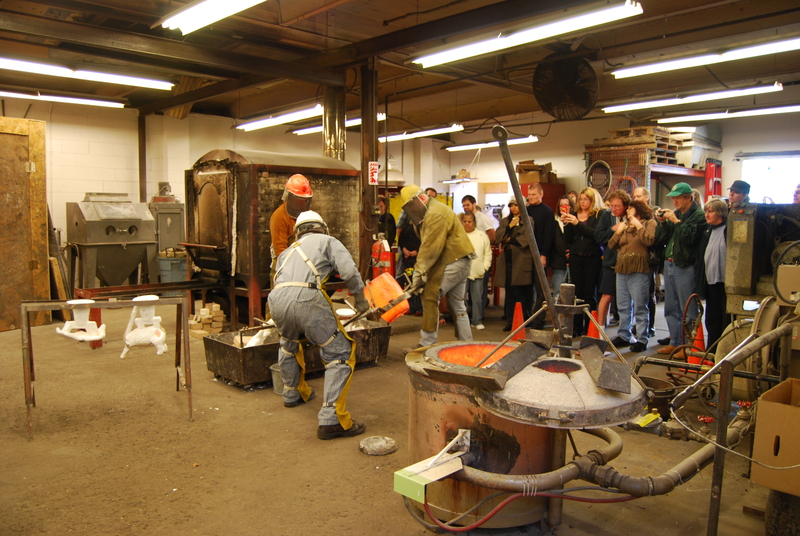 Besides traditional sister-city programs such as students exchanges and trips, the Tacoma-Biot Sister City Committee, chaired by Huguette Marsicano and Agnès Jensen, foresees exchanges of artists and exhibits to promote the art of glass blowing, the raison d’être of this joining, as well as additional synergies going beyond the glass connection. Jean-Claude Novaro is known not only for his amazing technical and artistic abilities but also his constant exploration of new ways to extend the potential of glass. He has invented new techniques, like the inclusion of hand painting between layers of glass. Novaro is one of the most respected master glass blowers in the world, with more than 125 individual and collective shows of his work around the world, including France, Germany, Belgium, Japan, Switzerland, Italy, Holland, Saudi Arabia, and the United States. 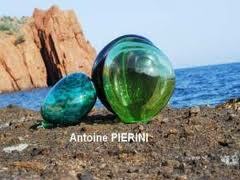 Antoine Pierini learned the basics of glass blowing from his father. Inspired by major artists like Dale Chihuly and collaborating with international glass artists like David Reekie and Udo Zembock, he has constantly refined his technique through new experiments. Pierini’s youth and passion have inspired innovative research that has yielded a style of his own in which sobriety of color and originality of design compete with elegance of form. 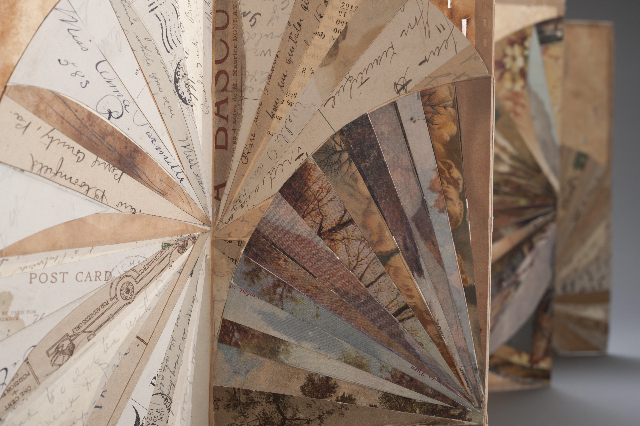 The Tacoma Studio Tour will feature 55 artists and collaborative studios and will allow the general public the opportunity to see the spaces in and tools with which local artists create their work, ask questions, and purchase one-of-a-kind creations. All studios will feature demonstrations of the artistic process or will have hands-on activities for visitors. 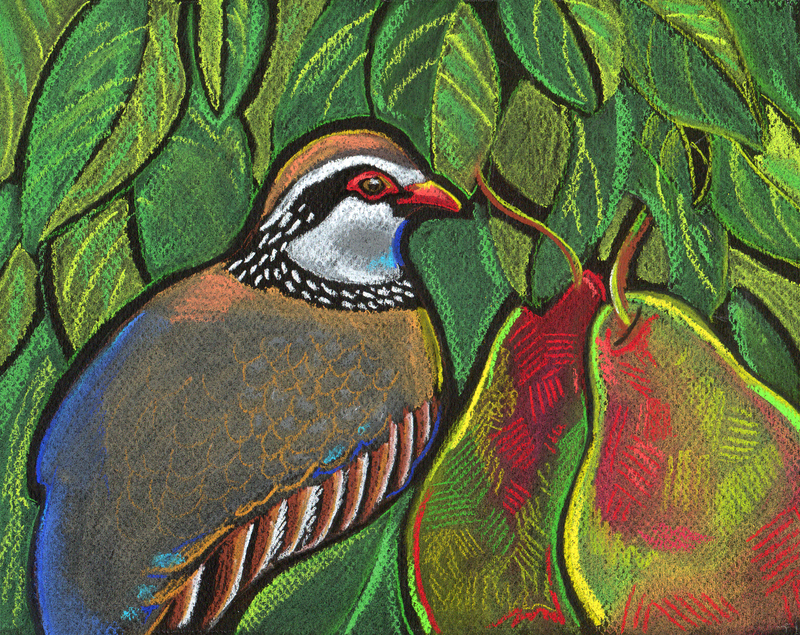 Check out ArtAtWorkTacoma.com at the beginning of October for the full list of artists, schedule, and an interactive map where you can plot your tour course. Jena is drawn to faces and places that surround us in the Northwest. 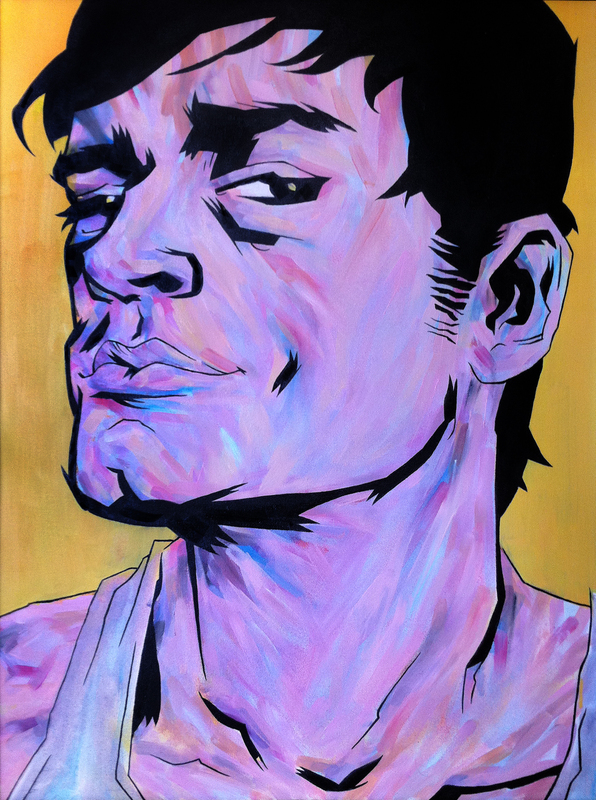 Using her eye for line and texture, she discovers lines moving between dark and light, subtly coaxing out personalities from the subject matter, infusing the work with color and vitality. 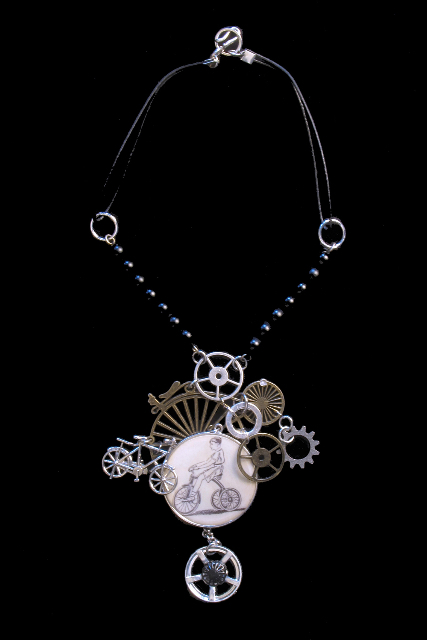 She can be found gathering information, sketching around town, or looking for new and unique views on life in the Puget Sound area. 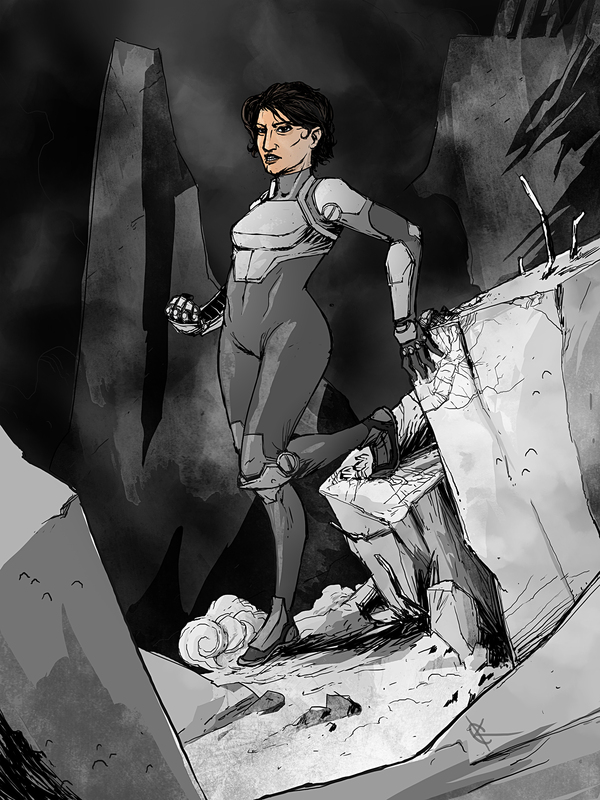 Chuck is a published illustrator and comic artist. 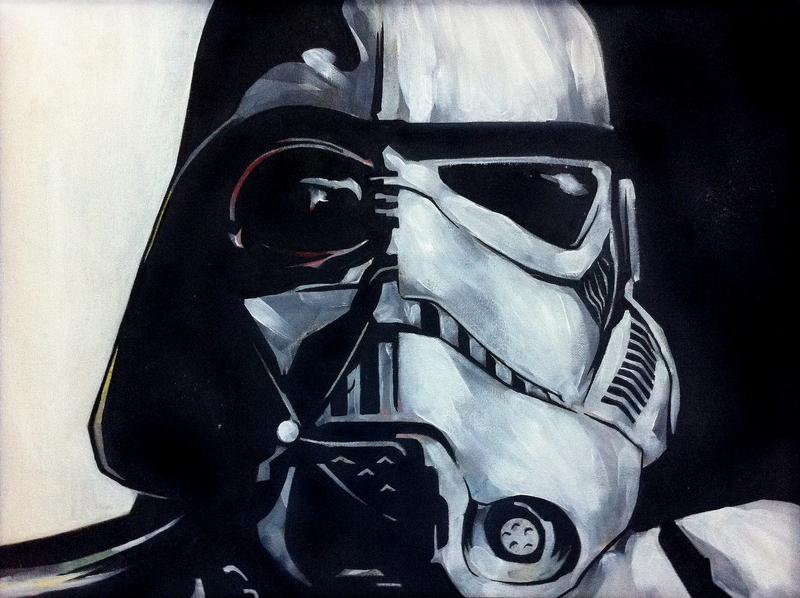 He works full time in the video game industry and likes to paint when inspiration strikes. 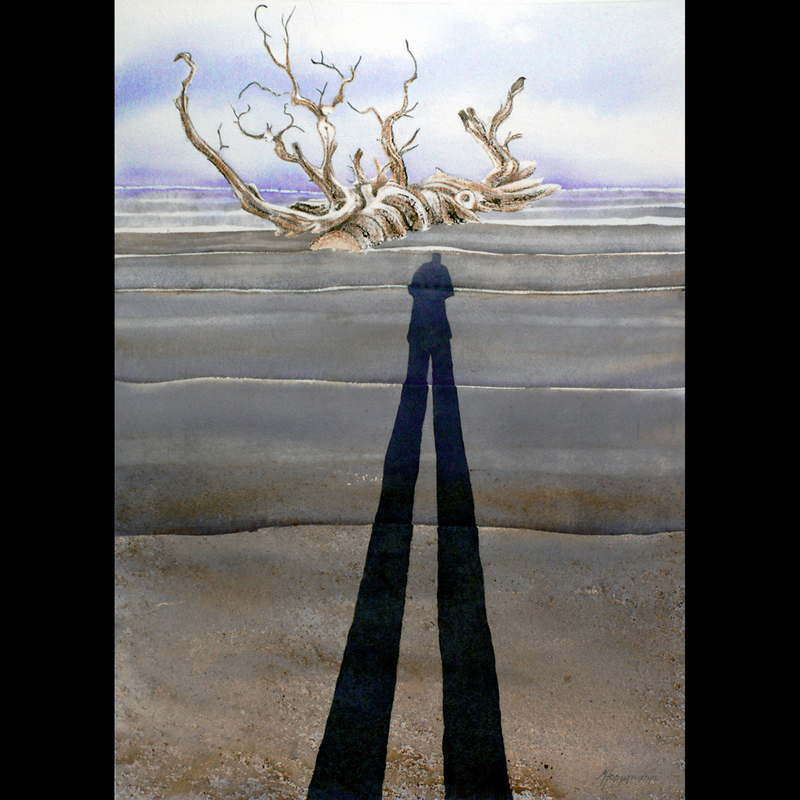 For more than ten years, Mark Hoppmann has been busy creating eclectic works in graphite, India ink, and watercolor from his Tacoma studio. 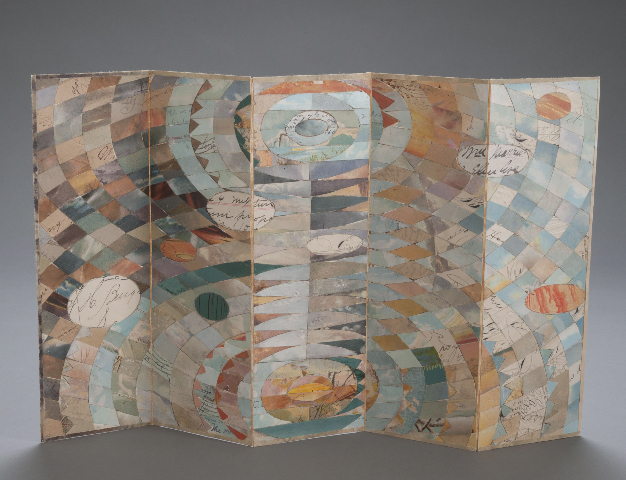 His most recent endeavor is learning the art of making handmade books of his illustrations. 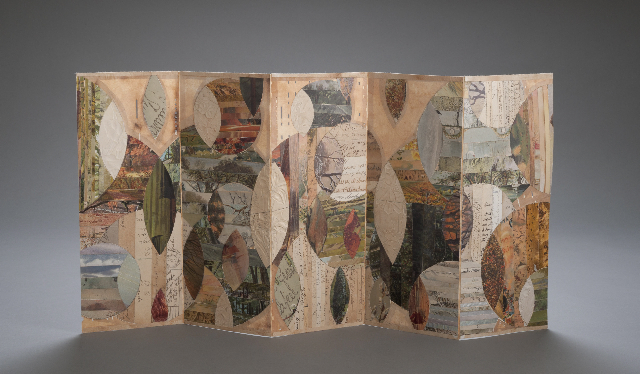 He uses a variety of techniques and materials to create both traditional and nontraditional book forms. 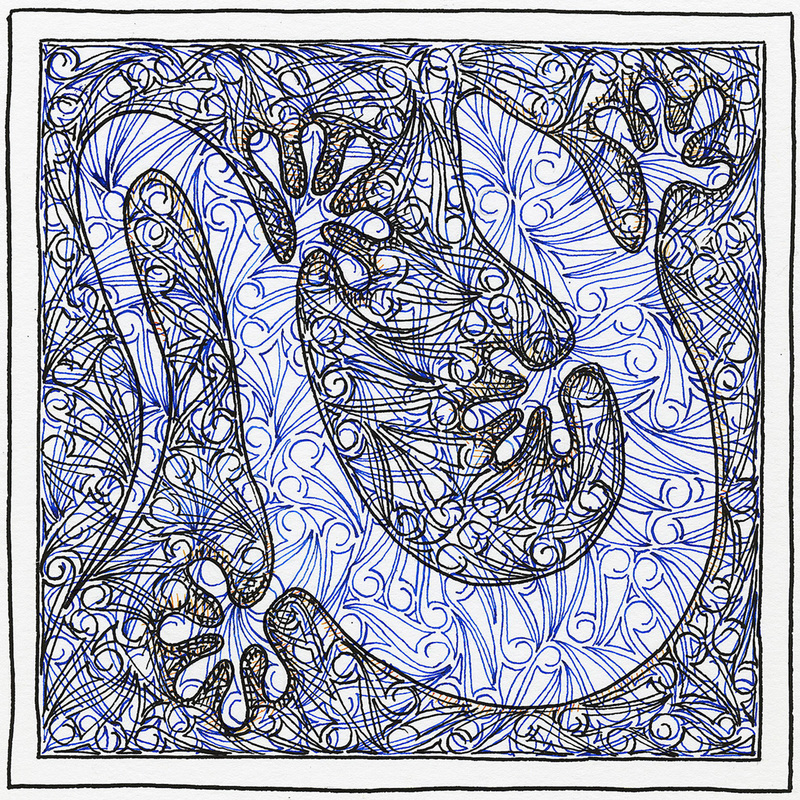 His most recent project was “A is for Alien” an abecedarian book consisting of over 52 illustrations. 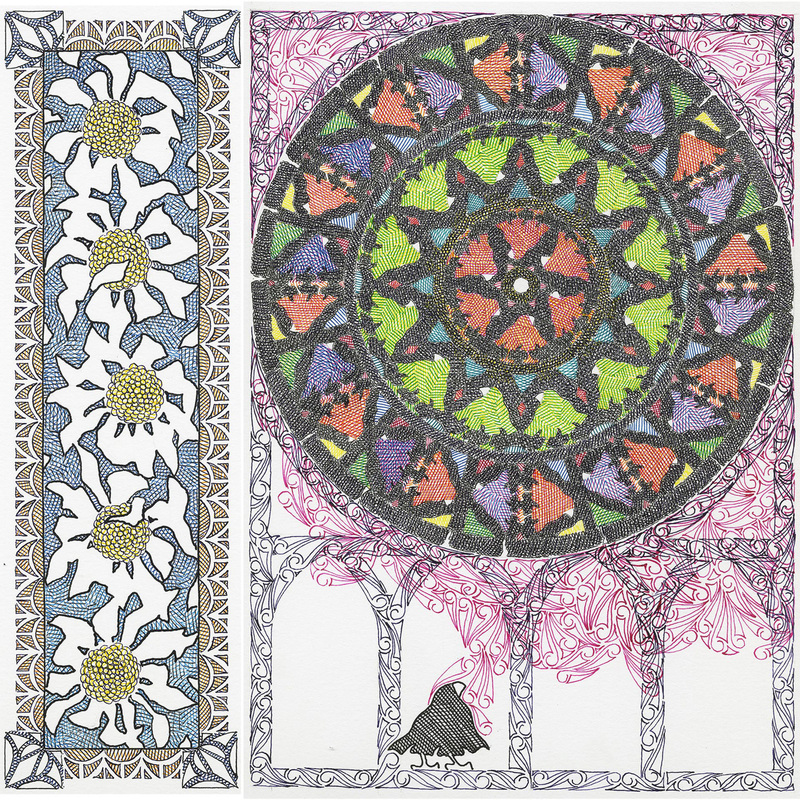 During the studio tour, Mark will be demonstrating how he makes his sketchbooks as well as his pen & ink illustrations. 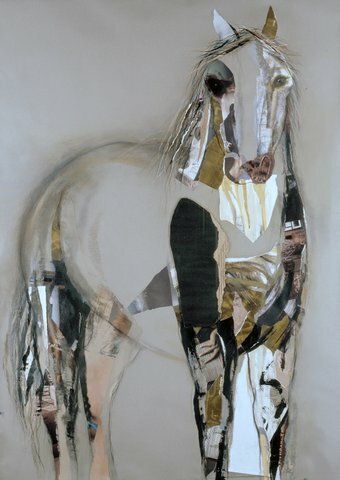 Glazière’s mixed media paintings, drawings, and sculpture are contemporary, dynamic, and colorful expressions that dramatically synthesize the recognizable in a semi-abstract mode. Landscape (natural and urban) has been her focus for many years. 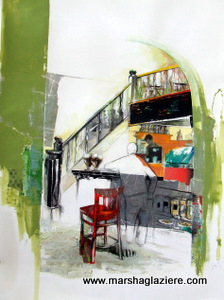 Her new book (2012) — “Eclectic COFFEE Spots in Puget Sound” includes 41 paintings on paper. Some of these paintings will be available for viewing at her studio during the tour. 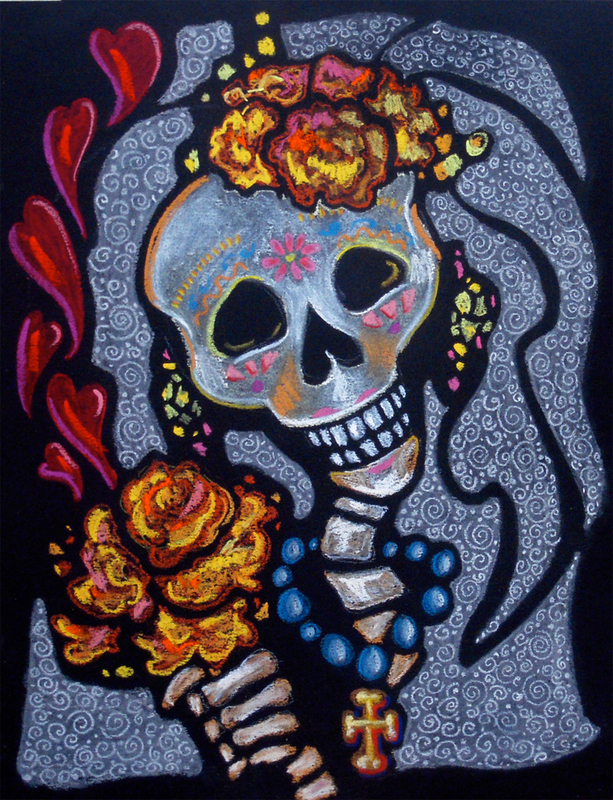 Sandra B. Murray was born in Venezuela and grew up in Colombia, South America. 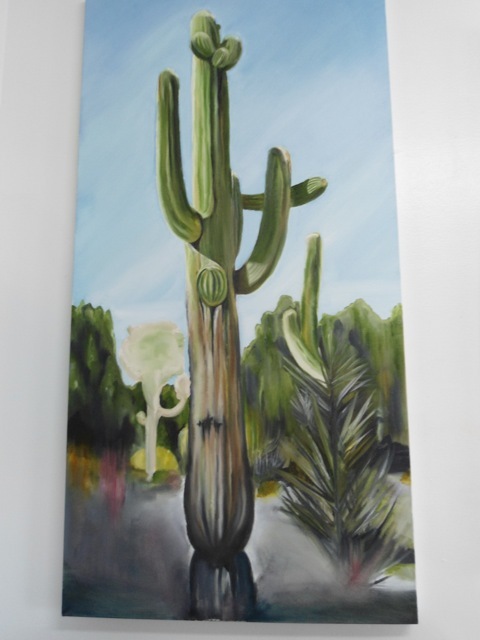 Her work is influenced by the flora of the cloud forest of the Andes as well as the flowers from her large garden in Lakewood and the desert scenery of Palm Springs, California. 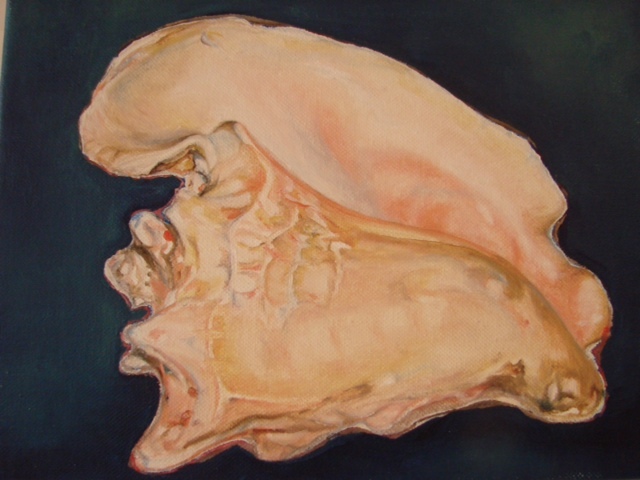 She studied Anthropology and Fine Arts at the College of William and Mary, and since graduating, paints primarily in oils while experimenting in watercolors as well. Sound Off! an all-ages battle of the bands is now accepting submissions. Sponsored by the Experience Music Project (EMP) in Seattle, the Northwest’s premier 21-and-under battle of the bands is seeking music groups and solo artists for its 2013 competition. The application for Sound Off! 2013 is online now – deadline to apply is Nov. 5. Now in its 12th year, Sound Off! supports the local music scene by giving artists from different backgrounds an opportunity to showcase their work, connect with the larger artistic community, and perform live at EMP, one of the top venues in the region. As in past years, Sound Off! 2013 will feature spectacular prizes such as gear, recording time, radio airplay, and high-profile performances. EMP’s Sound Off! has paved the way for some of today’s freshest talent, including the Lonely Forest, Dyme Def, Sol, Schoolyard Heroes, Kithkin, and Brite Futures, as well as members of Grand Hallway, Hey Marseilles, and Beat Connection. From Portland to Seattle to Vancouver BC, and everywhere in between, groups or solo musicians playing all genres of music are encouraged to submit original material for consideration in Sound Off! Three semifinal rounds of Sound Off! concerts will take place on February 9, 16, and 23, 2013, culminating in a jam-packed finals show in EMP’s Sky Church on March 2, 2013. • Composition and arrangement. How sophisticated are the musical arrangements, vocals, lyrics, rhythms and/or technologies, and instrumentation? • Creativity and originality. Is the band’s approach unique? • Technical Ability and Musicianship. Are the musicians proficient with their instruments? Are they in time and in tune? Are the vocals on key? Eligibility: Participants must be age 21 or under. Applications deadline: November 5. Apply online at empmuseum.org/soundoff. The Cuban Cultural Festival is coming to the University of Puget Sound (UPS) campus in early October, offering the public a rare opportunity to hear free, live performances by Cuban orchestral musicians and to attend cultural talks by visiting scholars. 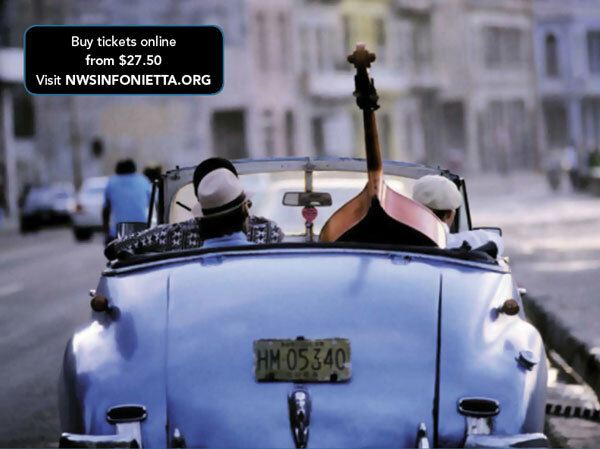 Don’t miss this chance to experience musical collaborations between artists from our sister city of Cienfuegos, Cuba, and musicians from the Northwest Sinfonietta, UPS, and the University of Washington – Tacoma (UW-T). This event is supported by funding from UPS’s Catharine Gould Chism Fund. 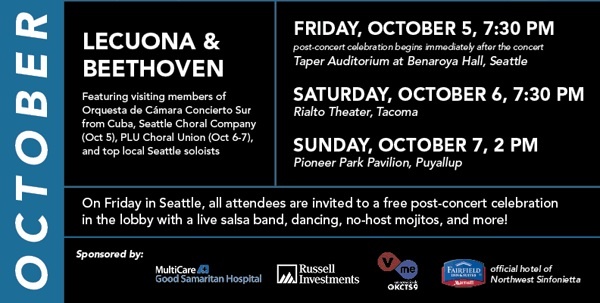 From Monday, Oct. 8 to Thursday, Oct. 11 the South Sound will host visiting members of Orquesta de Cámara Concierto Sur (Concert Chamber Orchestra of the South). On Thursday, Oct. 11 at 7:30 pm in Schneebeck Concert Hall at UPS, a Cuban musical ensemble will present workshops and perform a free concert that will span from Baroque to Renaissance to contemporary music and include a representation of authentic Cuban music. Northwest Sinfonietta will host three public concerts from Friday, Oct. 5 to Sunday, Oct. 7. These much-anticipated musical performances will be followed by four days of public events and cultural talks from Monday Oct. 8 to Thursday, Oct. 11. UW-T will present the final festival concert on Saturday, Oct. 13. Find more information at: www.northwestsinfonietta.org, www.pugetsound.edu/cubanfestival and www.tacoma.uw.edu/cubanconcert. Located on Cuba’s southern coast, 160 miles from Havana, the port city of Cienfuegos has been Tacoma’s sister city since 2000. Known as La Perla del Sur (Pearl of the South) for its natural beauty and architectural treasures, Cienfuegos has a population of approximately 130,000 and is the third largest port in the country. 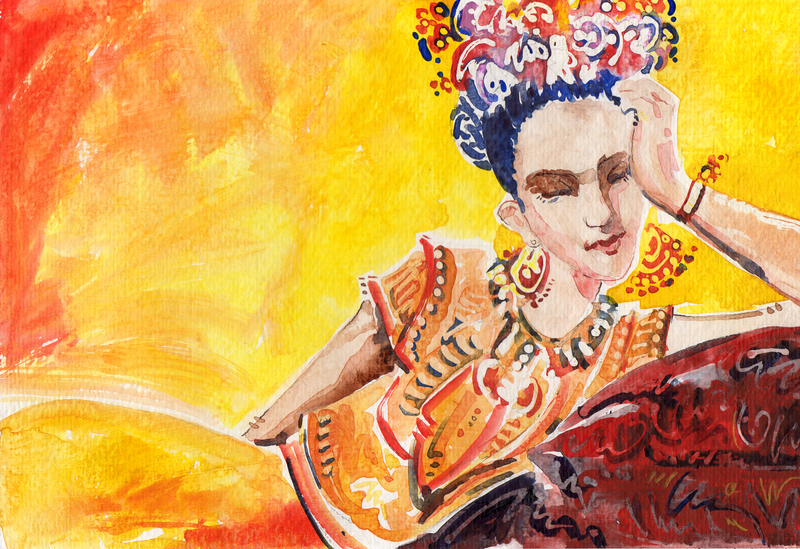 UPS will host free lectures on Cuban theater, literature, and contemporary culture; plus, musical recitals and master classes with Puget Sound faculty and students. Tickets to festival events are not required and all are welcome to attend. Details will be available shortly at: www.pugetsound.edu/cubanfestival. Arts advocates are invited to attend a Pierce County Arts Advocacy meeting with the Washington State Arts Alliance, on Sept. 26, 12-12:30 pm in the Visibility Center on the 9th floor of the Municipal Building, 747 Market St., in Tacoma. The meeting will be followed by a one-hour special study session and discussion of Collective Impact (PDF), a report produced by the Stanford Social Innovation Review in 2011, that focuses on how large-scale social change requires broad cross-sector coordination, not the isolated intervention of individual organizations. Collective Impact essentially lays out five conditions that need to be in place to successfully produce powerful results on complex social issues. The report was followed by an article, Channeling Change: Making Collective Impact Work, that provides updated, in-depth guidance. Attendees are encouraged to read both the report and article in advance of the Sept. 26 meeting. This meeting and discussion is in anticipation of “Community Collective Action“, an event from 8 am-4 pm on Oct. 30 at Pacific Lutheran University (Chris Knutzen Hall in the University Center). Sponsored by United Way of Pierce County, the event will feature keynote speaker Fay Hanleybrown (co-author of Channeling Change: Making Collective Impact Work), who will introduce the concept of Collective Impact and explain the elements that comprise this approach. Learn more about Washington State Arts Alliance on Facebook at ArtsAdvocacy. The Peace Monument was six years in the making. 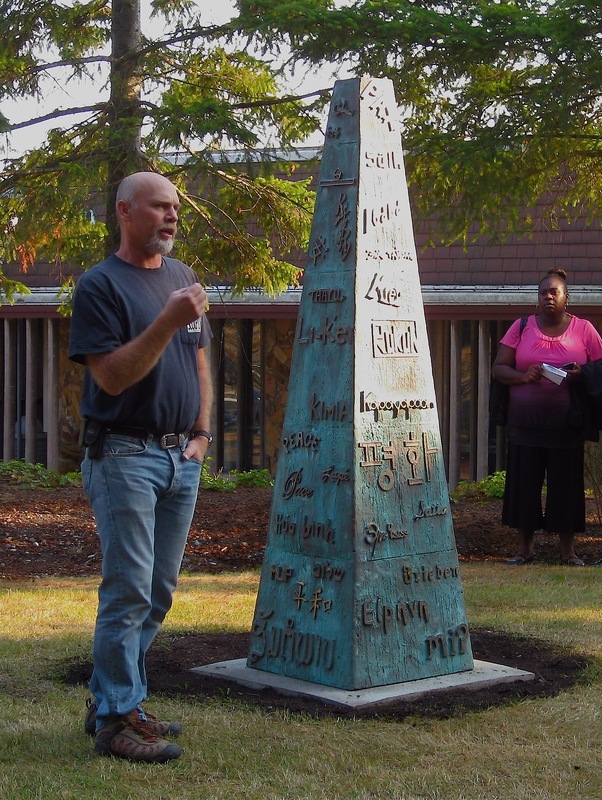 A monument to world peace conceived six years ago was dedicated today at Tacoma Community College. Sunlight filtered down through 50ft. evergreens and dappled the grassy clearing where the Peace Monument, a handsome bronze obelisk carved with the word “peace” in dozens of languages, now resides. The approximately 8ft. sculpture, finished with a rich blue-green patina, was created by artist and TCC sculpture instructor, Kyle Dillehay, and 20 art students over 18 months. The idea for the piece originated with TCC faculty member Susan Donaldson and the TCC Non-Violence Committee. Dillehay, an accomplished sculptor and public artist, designed the work as an obelisk and his students melted down spent bullet casings into the 700lbs. 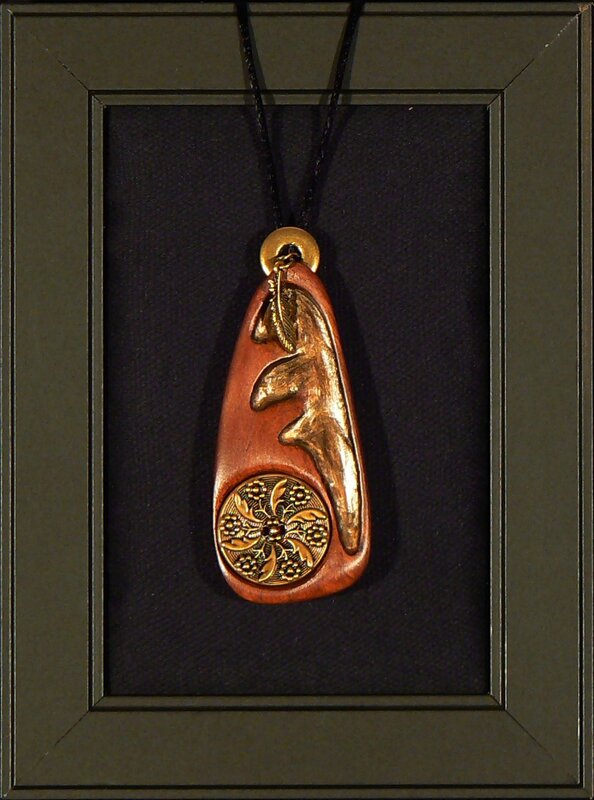 of silicon bronze used to cast the piece. Artist Kyle Dillehay at the artwork dedication. “Swords into ploughshares,” he said at the dedication, describing the satisfaction of transforming weapons ammunition into a monument to non-violence. The word “peace” is written in raised letters (and in some cases, symbols) in over 50 languages on the four sides of the obelisk. 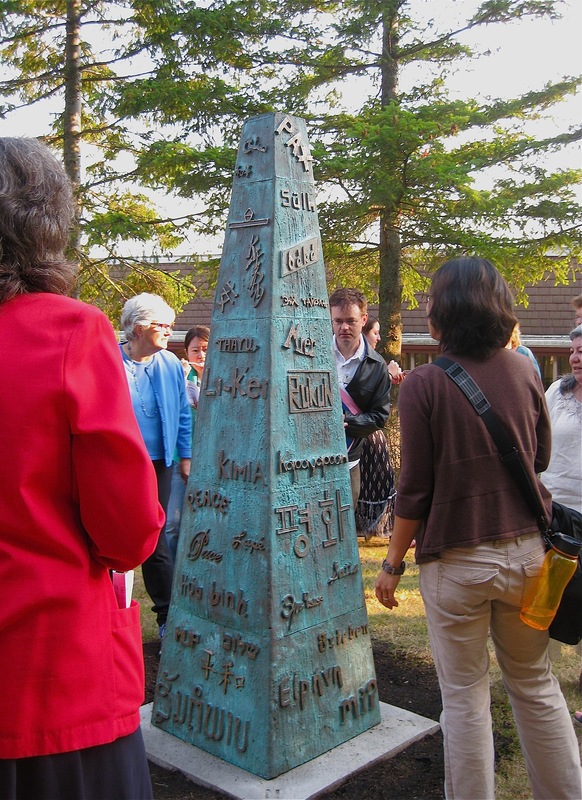 Originally, the languages of all students attending TCC in spring 2006, the year the sculpture idea was born, were to be represented. But the idea of inclusiveness expanded when the Arab Spring took hold, and the fight for democracy spread across the Middle East, said Dillehay. Students researched Egyptian hieroglyphs, found the symbol for peace (“hotep”) and demanded that it be added. Other languages include Mongolian, Vietnamese, Tlingit, Mandinka, and Russian. The sculpture’s raised letters invite visitors to make and take away pencil-and-paper rubbings of “peace”. One more language to be added: braille. The Peace Monument is beautifully sited in a small, circular clearing under tall trees. The area around the sculpture will eventually include seating, and seems destined to be a popular place to meet. Today, in the golden light of early fall, in a clear, operatic voice, Bill Reiberg led well-wishers, TCC faculty and students in A Song of Peace by Jean Sibelius. It was a scene of perfect tranquility. 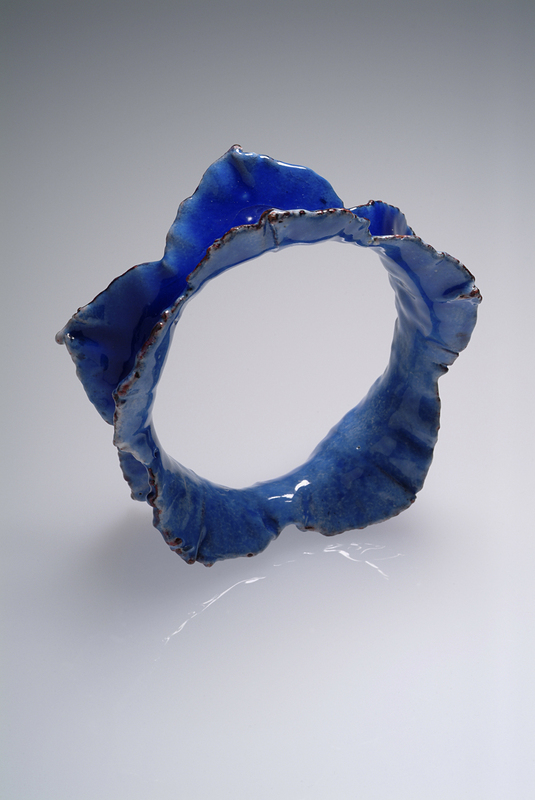 Unusual materials have almost always guided the imagery in Elayne’s art work. 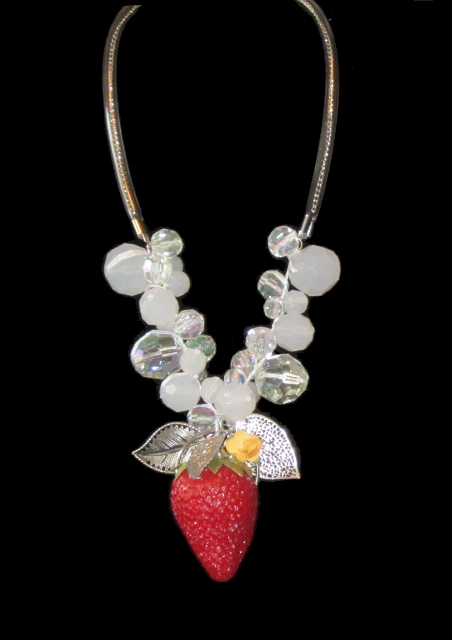 These one-of-a-kind necklaces, which she calls “Unusual Adornments,” are meant to combine humor and elegance in entirely wearable durable jewelry. 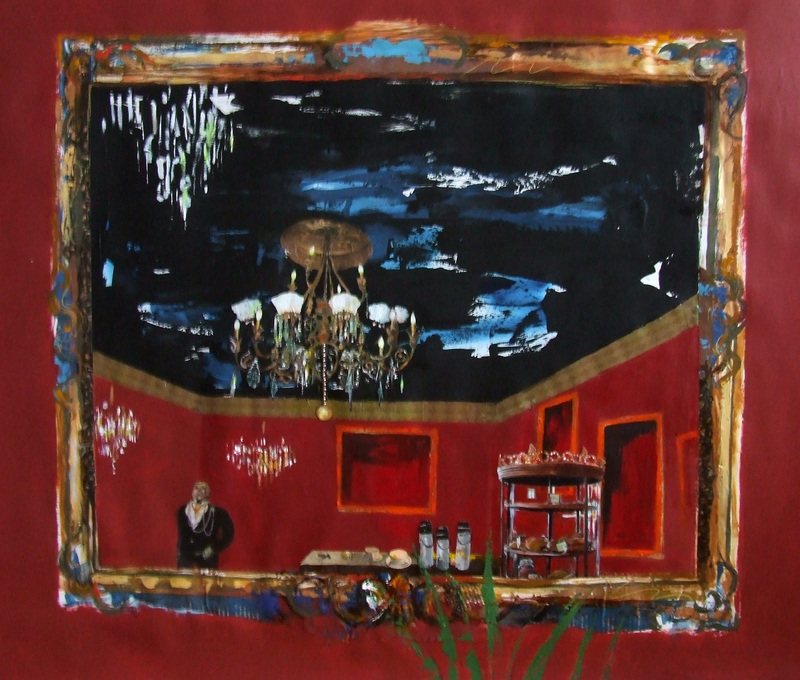 Her work has been included in numerous group exhibitions, including the Seattle Art Museum, the Bellevue Art Museum, the Foster White Gallery in Seattle, and the Tacoma Art Museum. 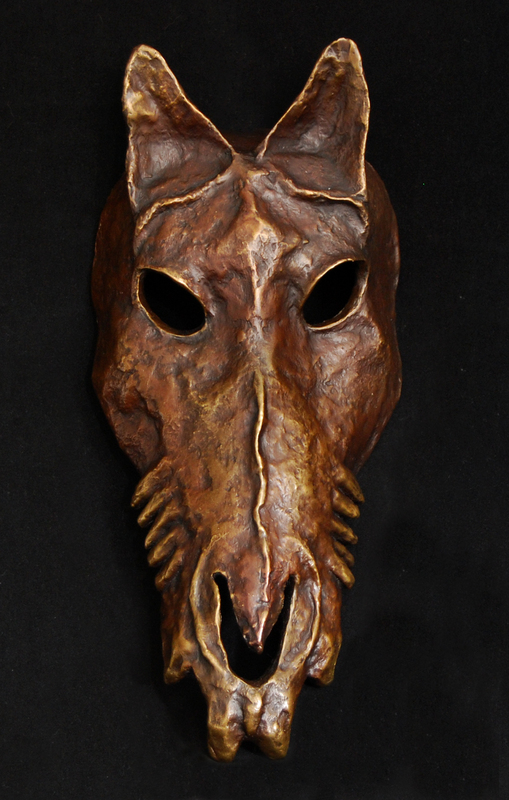 Two Ravens Studio & Art Foundry provides sculptural services from mold making to metal finishing as well as designing original sculptures. 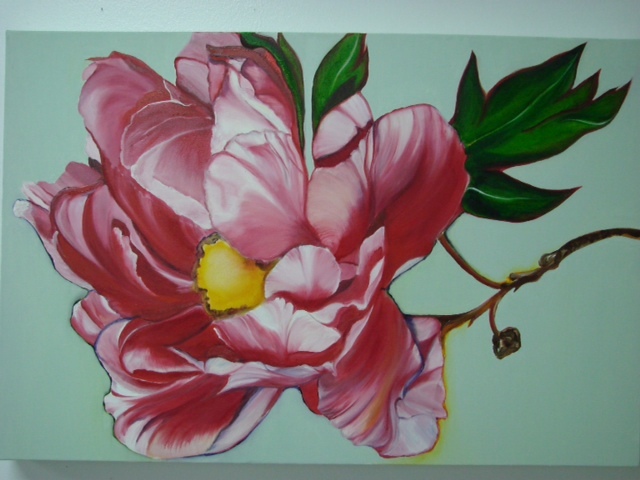 Two Ravens Studio creates works of art for public displays and private residences. 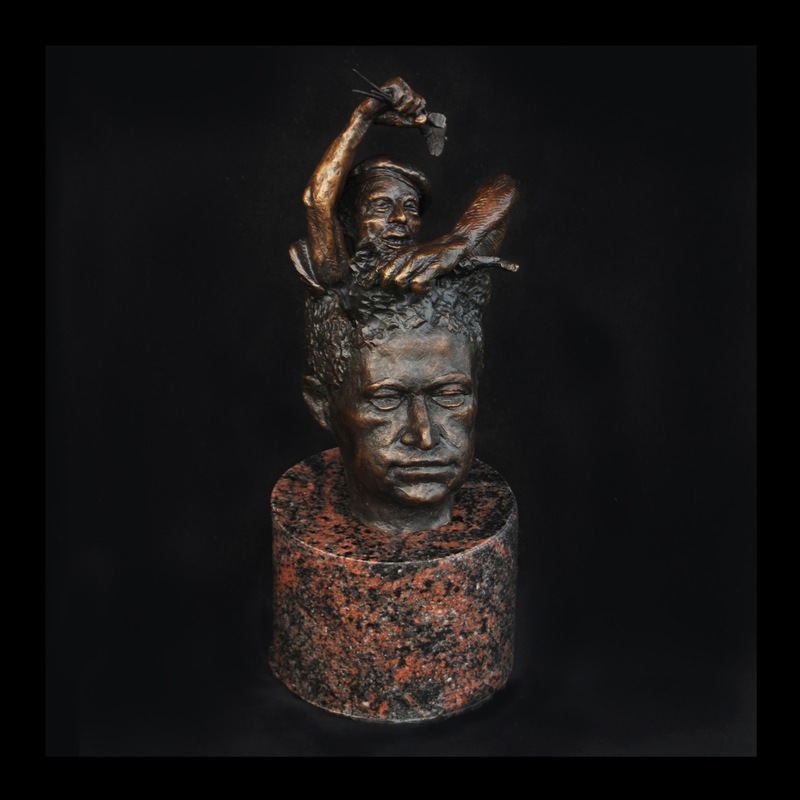 The studio casts in bronze, aluminum, and resin, producing works from small scale to monument size. Their list of clients includes individual artists, architects, designers, museums, and corporations. 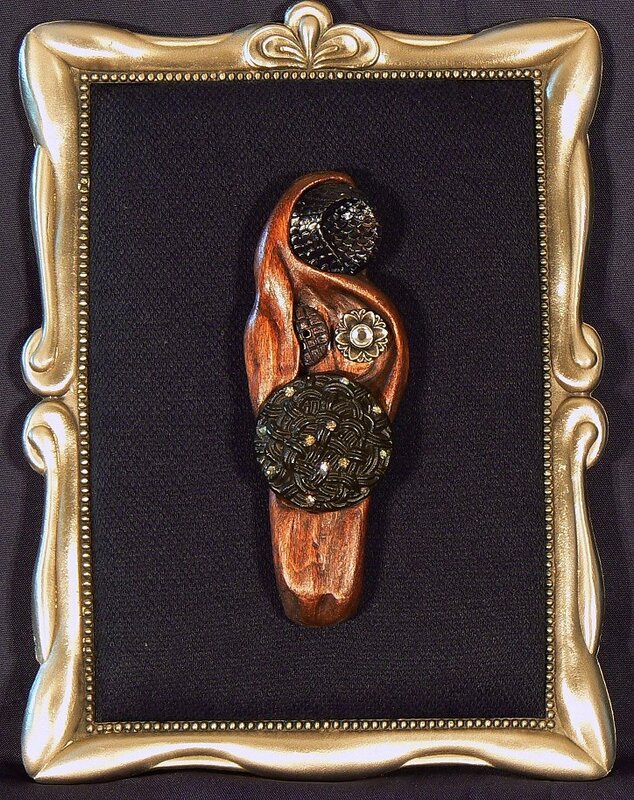 Jan Karroll is a multimedia artist who creates unique wooden jewelry embellished with vintage buttons. The pieces are completely hand crafted from selected wood and finished to enhance the qualities of both the wood and the buttons. The fasteners are fabricated of shaped and sharpened brass wire. 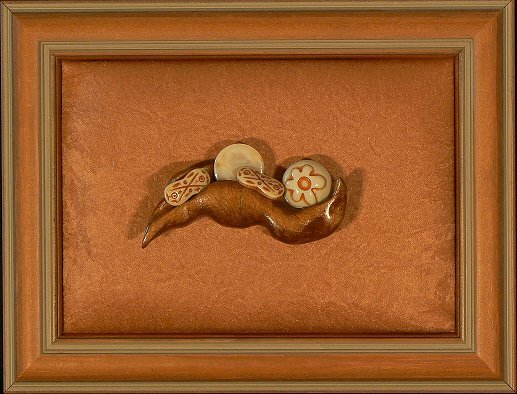 Each piece is mounted in a custom frame. Raw materials and pieces in progress will be shown and techniques demonstrated as well. 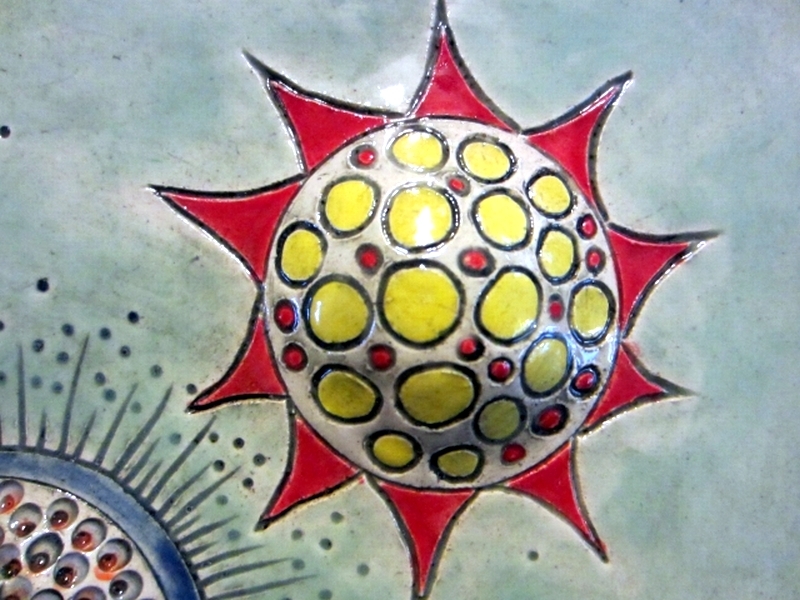 Ixia Tile focuses on handmade architectural ceramic installations for public art, private, and commercial commissions. 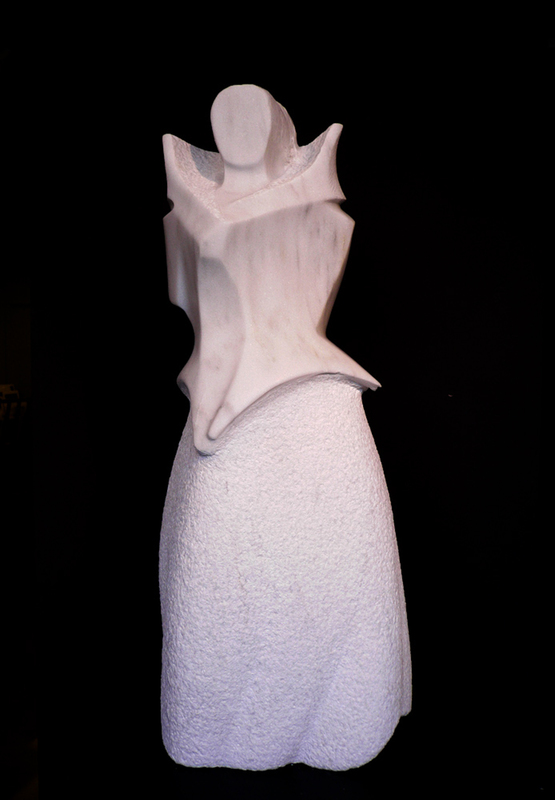 The creative process includes carving, sculpting, molding, extruding, and hand-building from slabs. 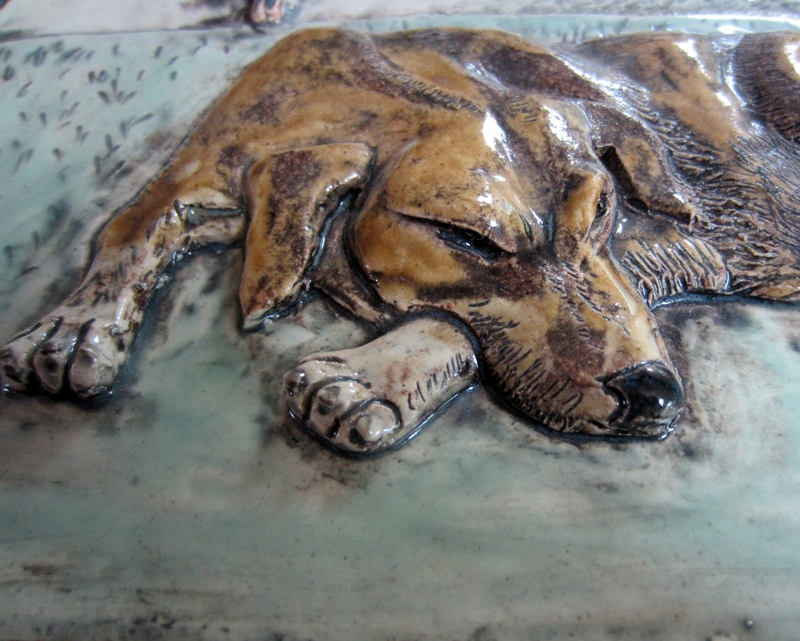 Clays and glazes made in Tacoma are used exclusively. Public art installations in Tacoma include Mc Carver Park, South Tacoma Public Library, Multi-Care TreeHouse, Masa Restaurant and Bellarmine School. 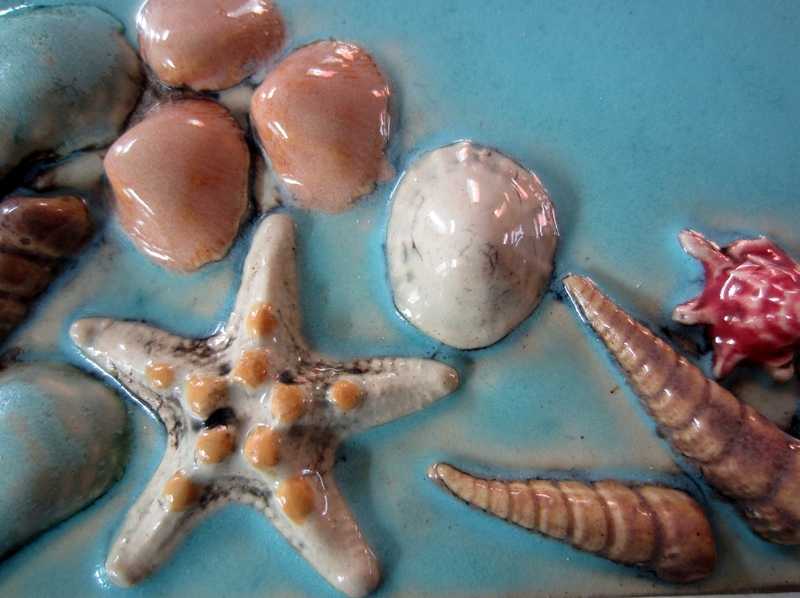 Visit Claudia’s studio during the tour and lay your hands on clay to create your own tile. 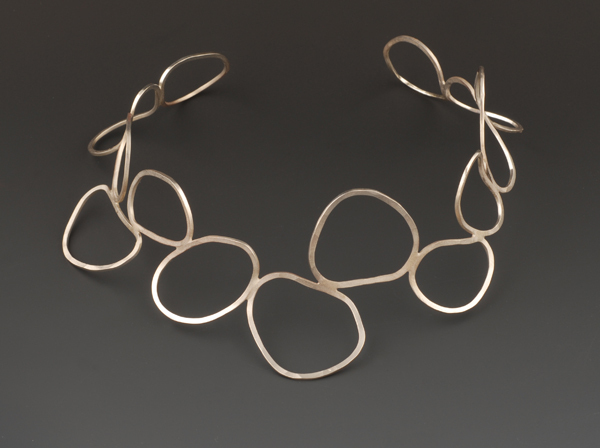 In December 2009, Amy Reeves opened Tacoma Metal Arts Center (TMAC) to teach metalsmithing classes and to offer studio access to students and jewelry artists in the community. 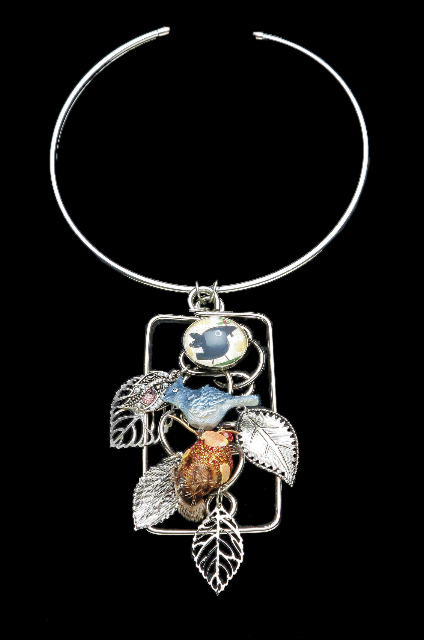 TMAC currently host classes taught by over 15 different instructors and a gallery featuring the hand-made metal jewelry and art of students and instructors. 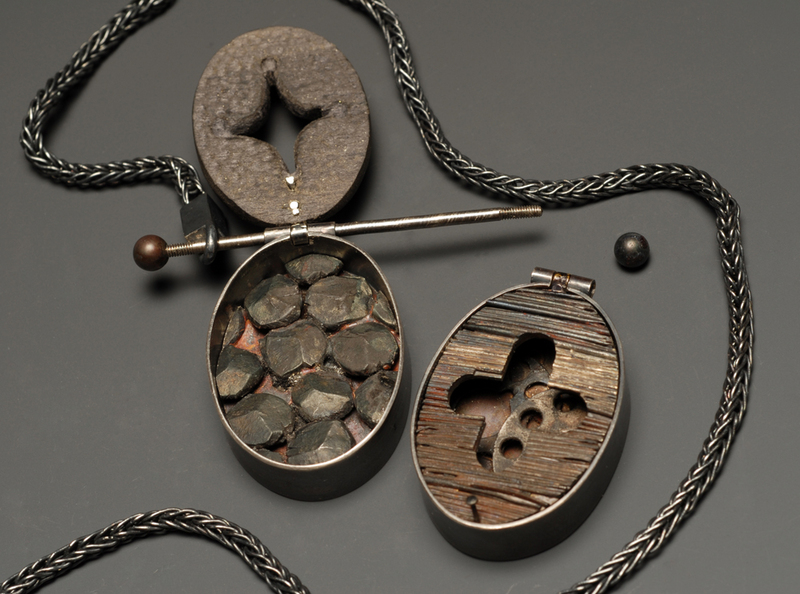 Visit the studio during the tour to see casting demonstration and hands on metal texturing. LeeAnn Seaburg Perry is wading in uncharted territory in the art realm as she combines encaustic stones or rusted wire with her new stone sculptures. 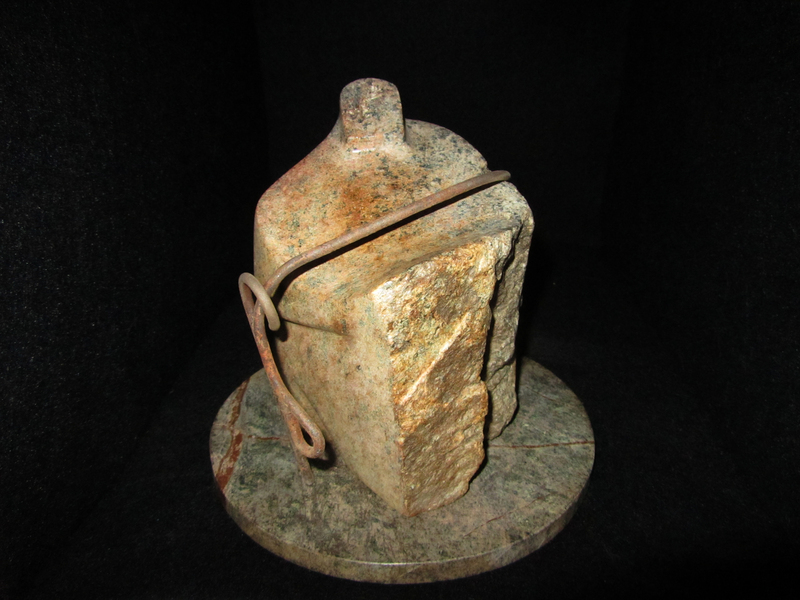 The rusted wire blends with the stone, adding tension to the whole sculpture. 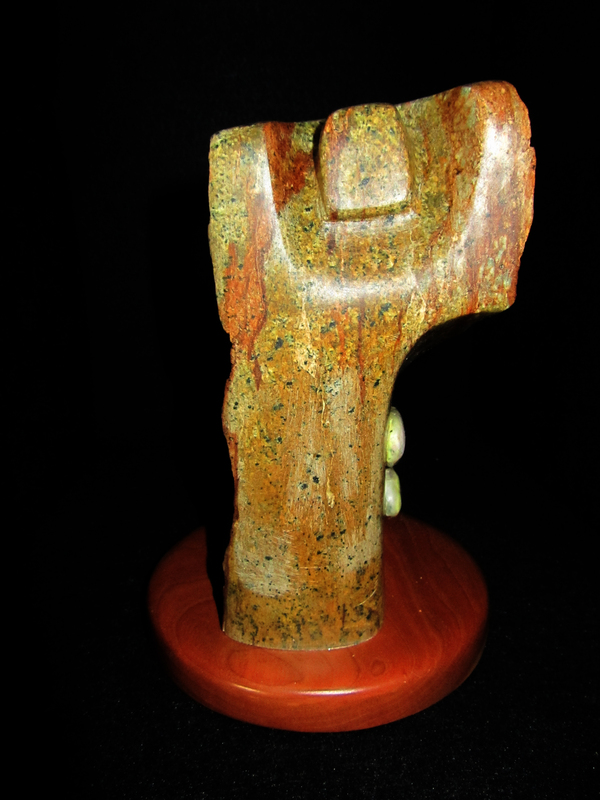 The carved stone is costly and valuable–the smaller river stone and the rusted wire have no value to us–yet in context of the sculpture, the tension of what we value and what we don’t is resolved. Visitors to LeeAnn’s studio will have the opportunity to take a chisel in their own hands and try carving a piece of marble and soapstone. 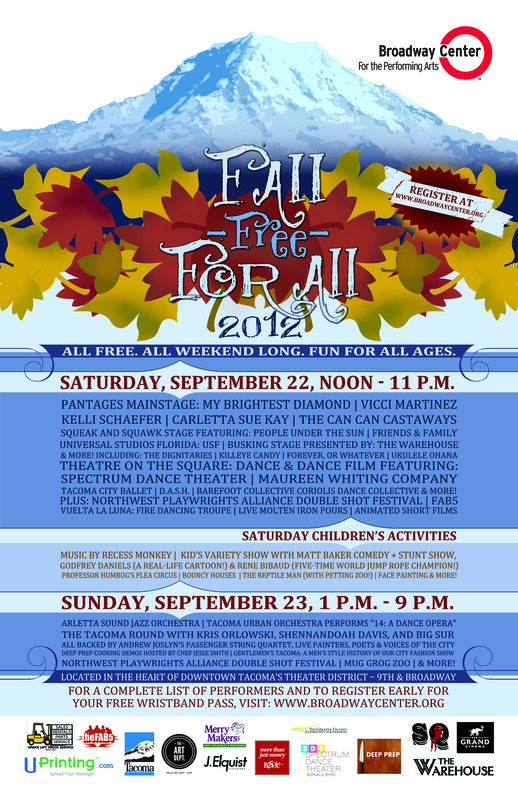 The Broadway Center is presenting its knockout arts festival, the Fall Free for All, Sept. 22-23! Clear your calendar for a full weekend of high-Q, all-ages entertainment in downtown Tacoma, all with FREE admission! This community festival will feature 50+ music, dance, drama and film events, including national acts and children’s activities. Come enjoy…There’s something for everyone, starting with Pantages headliner (and Tacoma’s own “Voice”), Vicci Martinez. Also taking the mainstage on Saturday, Sept. 22, will be My Brightest Diamond, Kelli Schaefer, Carletta Sue Kay, and the Can Can Castaways. On the Squeak and Squawk stage on Saturday, catch People Under the Sun, Friends & Family, and Universal Studios Florida: USF. At Theater on the Square, see dance and a dance film featuring Spectrum Dance Theater, Maureen Whiting Company, Tacoma City Ballet, D.A.S.H., BareFoot Collective, Coriolis Dance Collective, and more! Watch for Northwest Playwrights Alliance Double Shot Festival, Fab-5, a firedancing troupe, molten metal pours, animated short films – and for kids, The Reptile Man (with petting zoo)! Sunday highlights include Arletta Sound Jazz Orchestra, Tacoma Urban Orchestra, and The Tacoma Round with Kris Orlowski, Shennandoah Davis, and Big Sur, all backed by Andrew Joslyn’s Passenger String Quartet. Spaceworks artist JD Elquist and Electricbranch Creative will present A Men’s Style History of Our City and a fashion show! For a complete list of performers, and to register early for your FREE wristband pass, visit: www.broadwaycenter.org.